As rural populations decline, inpatient admissions fall, more beds sit vacant, and the number of people covered by government-sponsored plans rises, these communities are left to grapple with the ramifications of losing a hospital. 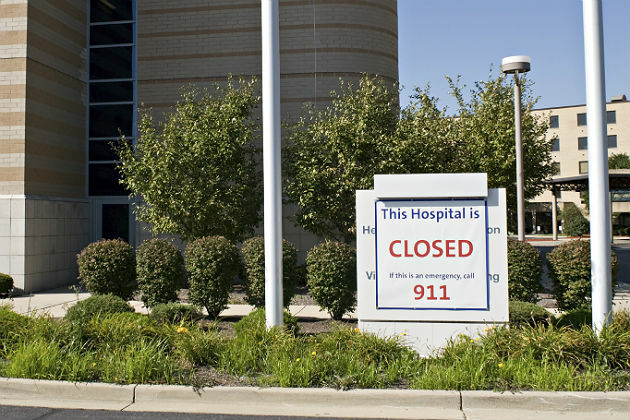 A loss of acute-care beds and ultimately hospitals is inevitable, experts said. Navigant set out to define what constitutes an “essential” hospital. More than a third, or 153, of the 430 financially unstable hospitals are not “essential,” according to Navigant’s data. While these metrics provide some clarity, there is no objective definition of an “essential" provider. "Try telling any community, no matter how large or small, that its hospital is not 'essential.' “ Hospitals need to recognize they can’t provide every service under one roof.